AFRICAN WOMEN IN CINEMA BLOG: Canal+ Afrique : L’Afrique au féminin c’est quoi ? | African women’s perspectives, what is it? Canal+ Afrique : L’Afrique au féminin c’est quoi ? African women’s perspectives, what is it? CANAL+ would like to broaden its commitment beyond the specific sphere of television. That is why every year the channel invests in projects that allows a rethinking of the world, to better understand it and to endeavour to make it better. 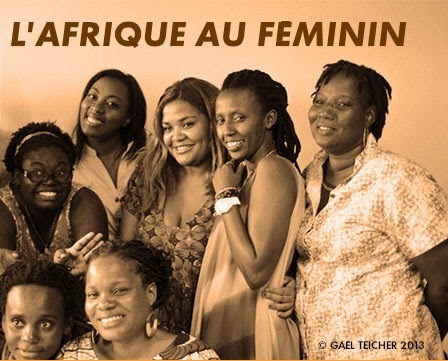 In 2013, CANAL+ AFRIQUE and CFI launched a call for projects to African women filmmakers. The idea? To create a short program under the theme "Succeed in Africa today." Four experts were chosen to advise the candidates. Hundreds of projects were received from across Africa. 15 directors from 13 countries in Sub-Saharan Francophone Africa were selected to participate. They attended a scriptwriting workshop in Abidjan, Côte d’Ivoire, after which they returned to their respective countries to shoot their films. After a tough selection process, 11 of the final projects were chosen to be broadcast on the channel. Discover here, the new works of these talented women in the realm of African audio-visual creation! CANAL+ veut porter son engagement au-delà de la seule sphère télévisuelle. C’est pourquoi la chaîne s’investit chaque année dans des projets qui permettent de repenser le monde, de mieux le comprendre et de chercher à le rendre meilleur. En 2013, CANAL+ AFRIQUE et CFI ont lancé un appel à projets auprès des réalisatrices africaines. L’idée ? Réaliser un programme court su la thématique « Réussir aujourd’hui en Afrique ». Quatre experts ont été choisis pour encadrer les candidates.